This Halloween, the Long Bar at the Waldorf Astoria Shanghai on the Bund invites you down to enjoy a ghoulishly good time as we celebrate the most frightening night of the year with drinks, lucky draw, dance show and more! The festivities will kick off on October 31 at 9 pm with a series of specially-created Halloween zombie-themed cocktails prepared by our iconic Long Bar witch-ologists. 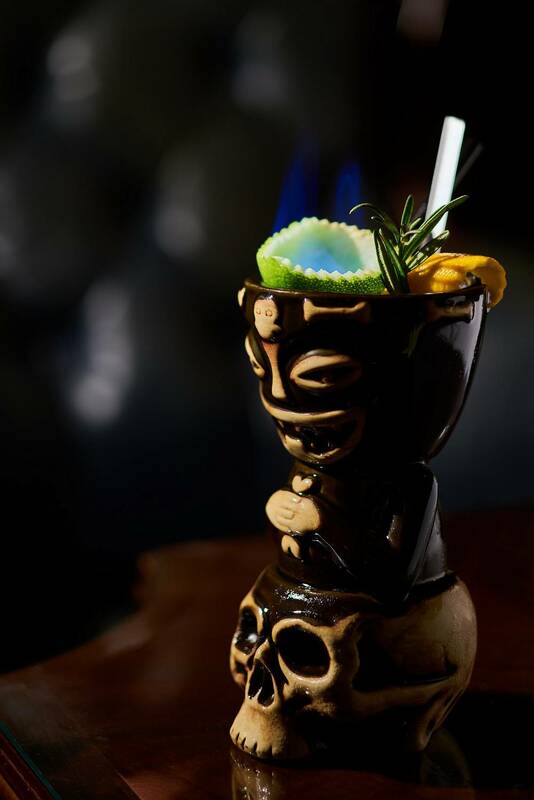 Guests will be able to choose from a “Lost Pumpkin,” brewed using Havana rum, Disaronno, steamed pumpkin, and egg yolk, as well as a “Trick or Treat,” featuring Havana Rum, Fernet-Branca, Frangelico, Malibu and cream, and a “Jack-O-Lantern,” featuring Havana Rum, Green Fairy, pineapple juice, and Grenadine! 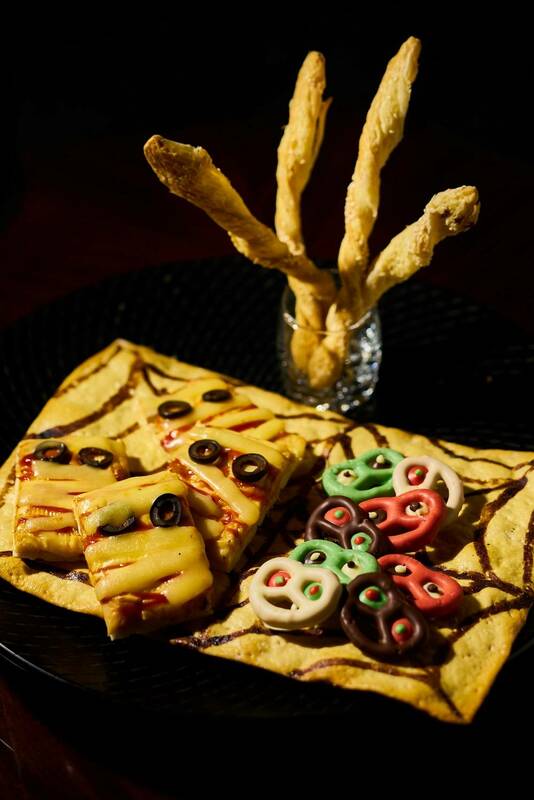 What’s more, we also offer a snack buffet which includes Finger Cheese Sausage, Mustard Pretzel, Fried Shrimp Dumplings and Herb Sesame Straw. Surely will your appetite be satisfied! Throughout the evening, guests will be invited to engage in the lucky draw. Winners may win half a dozen Tsing Tao beers, a bottle of Perrier Jouët Grand Brut or a bottle of Perrier Jouët Rose. Guests can also partake in the festivities with our Halloween make-up artist roaming the bar, waiting to give willing souls a spook-tacular makeover! Tickets are available now for just RMB 188 net per person, including a glass of Halloween Cocktail, a snack buffet, a Halloween makeover experience and the chance to participate in the lucky draw. 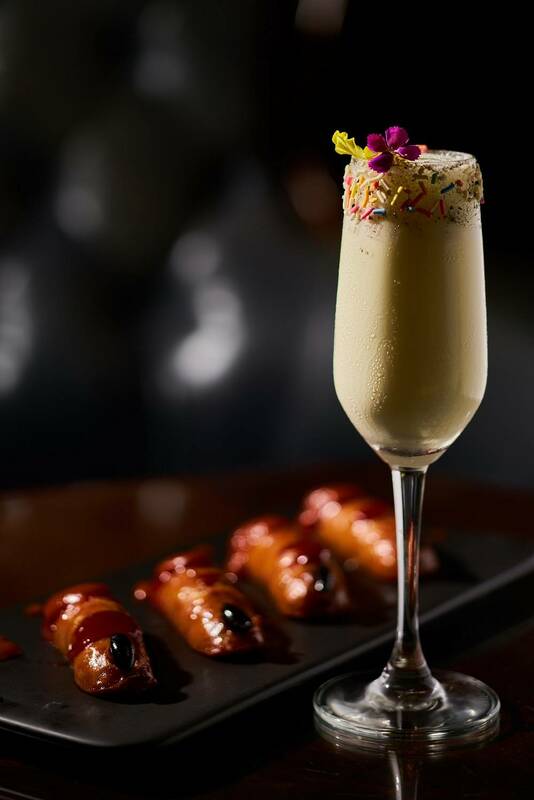 If not purchasing the tickets, guests can tuck into a snack buffet for RMB 88 or enjoy a glass of Halloween Cocktail for RMB 128. For the beverage packages, enjoy a variety of great deals on drinks, including a selection of six Halloween cocktails for just RMB 588, a bottle of Perrier Jouët, Grand Brut for RMB 888 and a bottle of incredible 15 Year Glenlivet for just RMB 1688. After the lucky draw, it’ll be time for our wonderful performers take to the stage for a special Halloween-themed dance! 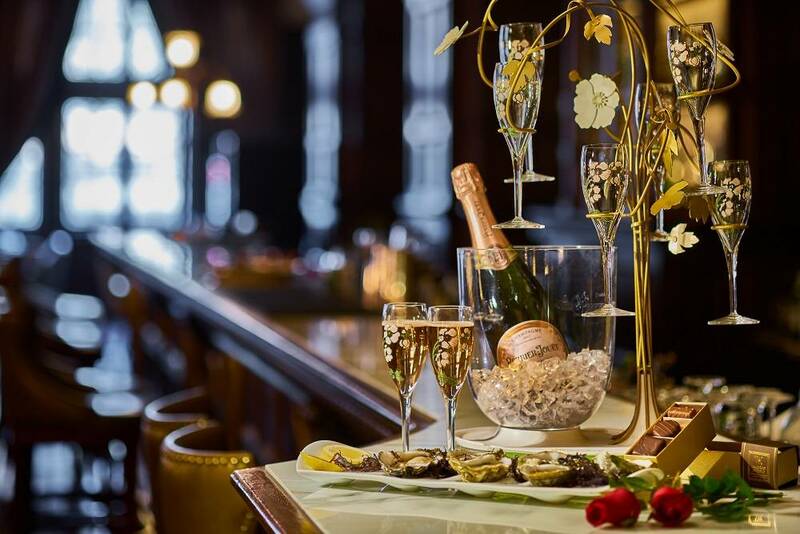 This supernaturally fun event will be held on October 31 for just one night only at the Long Bar at the Waldorf Astoria Shanghai on the Bund. Venue: Long Bar, Waldorf Astoria Tower Lobby Level, No.2 Zhong Shan Dong Yi Road, Huang Pu District, Shanghai.